Owner of a livery stable in Great Barrington, Massachusetts. Includes lists of stabler activities, customers (individuals and businesses), and employed ostlers. Also contains method of payment (cash and services), and one labor account for Fred Berry, a nineteen year old Afro-American who was one of three ostlers living in Faber’s household at the time. Born on a farm in Hungary in 1932, the landscape architect Julius Fabos survived the Second World War and the onset of Stalinism before escaping to America during the Revolution of 1956. 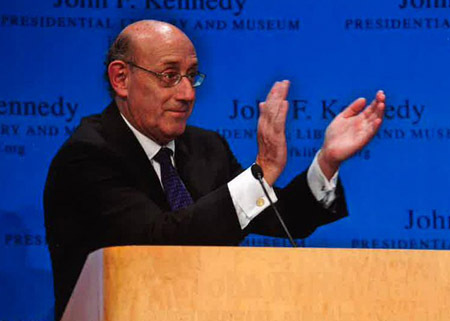 Able to resume his studies, Fabos received his BS in plant science from Rutgers (1961) and MLA from Harvard (1964), joining the faculty at UMass Amherst shortly thereafter while continuing toward a doctorate in Resource Planning and Conservation at the University of Michigan (1973). A charismatic teacher and prolific writer, Fabos is noted internationally for his work on landscape assessment and planning and greenways. 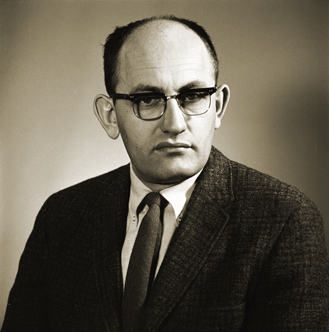 In the early 1970s, he helped establish the METLAND (Metropolitan Landscape Planning) interdisciplinary research group, which pioneered the use of GIS technology in landscape planning. Fabos has received numerous honors in his career, including recognition as a Fellow of American Society of Landscape Architects (1985), as a Medalist for the ASLA (1997), and recipient of an honorary degree from the Hungarian University of Horticulture. Fabos retired in 1997. The Fabos papers contain a record of a distinguished career in landscape architecture, including Fabos’ numerous publications, grey literature, conference materials, notes, and selected correspondence. Members of the Fall River Loom Fixers Association included some of the most skilled workers in the New England textile industry. The association, on behalf of its members, sought to improve poor working conditions, to provide assistance for members affected by pay reductions or layoffs, and to intervene in conflicts between members and management. The union also served a social function, organizing parades, social gatherings, and excursions. In the 1910s it became affiliated with the United Textile Workers for America. Records of the Loom Fixers Association include executive committee minutes (1900-1901 and 1911-1917), a treasurer’s book (1901-1905), and six dues books (1895-1907). Part of the Society of Friends’ New England Yearly Meeting, Falmouth Quarterly Meeting was set off from Salem Quarter in 1794 and has subsequently given rise to quarterlies in Vassalboro (1813) and Parsonsfield (1888-1938). Ray Mungo’s Famous Long Ago (1970) and Steve Diamond’s What the Trees Said (1971) are classic visions of late 1960s counterculture and of life in New England communes. 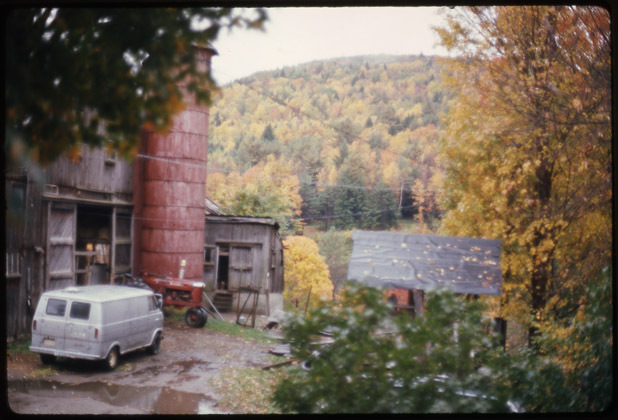 The communes on which Mungo and Diamond settled, Packer Corner and the Montague Farm, became the center of what might be considered a single extended community, embracing the Wendell Farm and Johnson Pasture and Tree Frog Farm in Vermont. The Farmers themselves were, and remain, a diverse group, including photographers, novelists, and poets, artists, actors, and activists. An umbrella collection, the Famous Long Ago Archive contains a growing number of collections relating to the communes at Montague Farm, Packer Corners, Johnson Pasture, Wendell Farm, and Tree Frog Farm. These range from the papers of Steve Diamond, Raymond Mungo, and Jonathan Maslow to Randy Kehler and Betsy Corner (the latter of whom lived at Montague Farm), the records of the Liberation News Service, the Alternative Energy Coalition, and Musicians United for Safe Energy, to the photographic collections of Roy Finestone and Stephen Josephs. View all the Famous Long Ago Collections. A businessman from Worcester, Mass., Daniel Farber (1906-1998) was among the best known photographers of early American gravestone art. 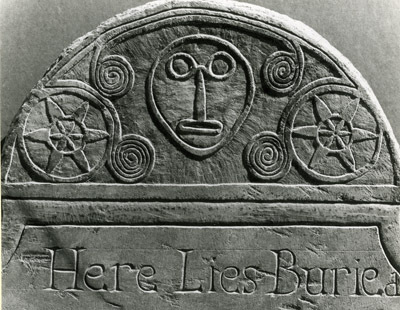 Over the course of twenty years beginning in about 1970, he and his wife Jessie Lie Farber (a faculty member at Mount Holyoke College) took thousands of photographs of gravestones throughout New England and the eastern United States, eventually extending their work internationally. Interested in both the artistic and cultural value of gravestones, the Farbers were founding members of the Association for Gravestone Studies in 1976 and influenced a generation of fellow researchers in gravestone studies. Printed in 1973, the Farber Collection includes 326 black and white prints (5×7″),mounted on rag board, of of colonial and early national gravestones in Massachusetts. The towns represented, most by multiple images, include Auburn, Billerica, Boylston, Brookfield, Cambridge, Charlestown, Chelmsford, Concord. Holden, Leicester, Lexington, Marlboro, Northboro, North Brookfield, Oxford, Paxton, Rutland, Shrewsbury, Sudbury, Watertown, Wayland, and Westboro. Established in 1914 as one of a dozen federal reserve banks nationwide, the Boston Fed serves the six New England states. The collection consists of research reports issued by the Federal Reserve Bank of Boston in 1959 projecting economic conditions for New England in the year 1970 for manufacturing industries, banking, electronic industry, and population and labor force. This small collection consists of an incomplete run of forecasts and research reviews of the New England economy in anticipation of the new decade, 1970.